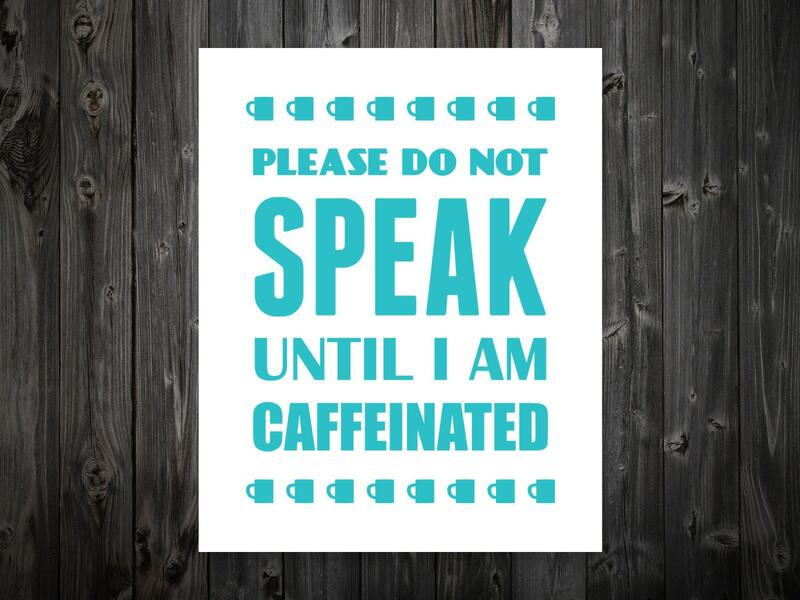 Please Do Not Talk Until I Am Caffeinated! 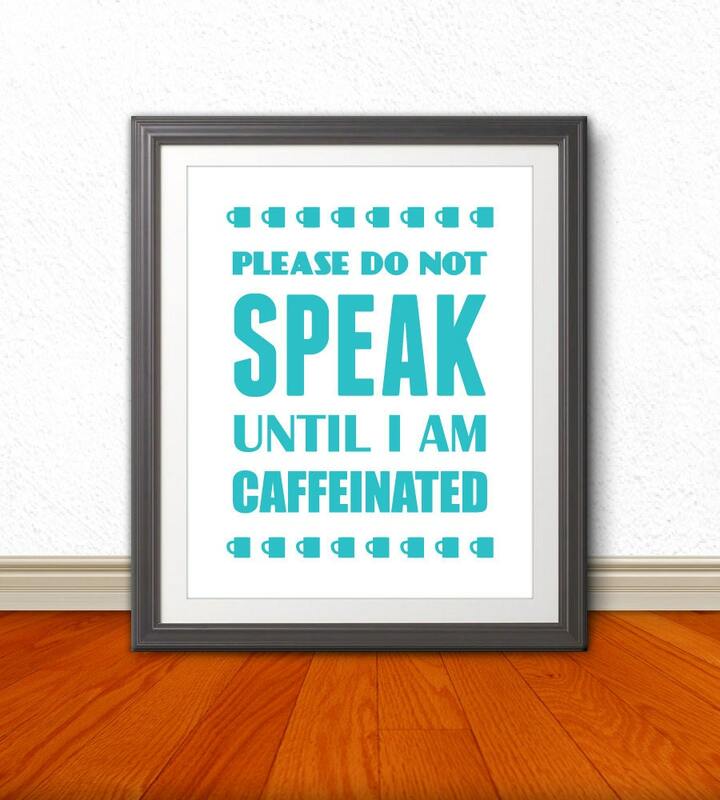 This 8x10 coffee print would look great in any kitchen or apartment. This print is professionally printed on a thick stock paper. The frame and matte are not included, but it is perfect for framing. The word "proof" is removed when printed. 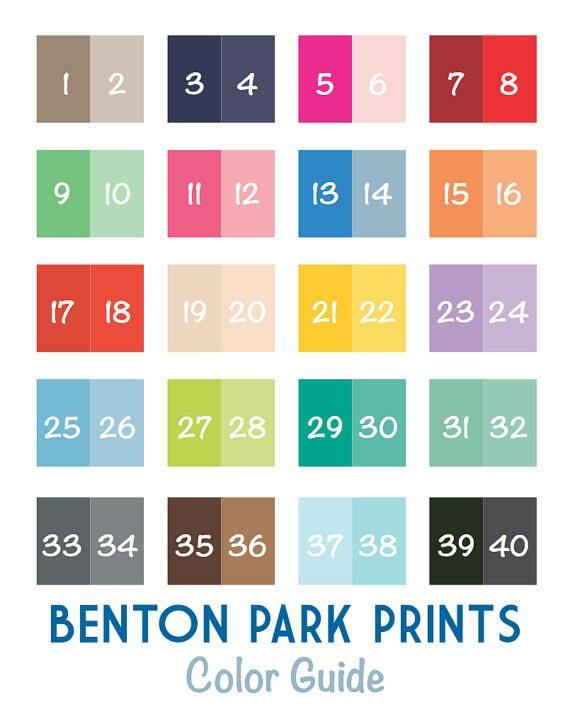 https://www.etsy.com/listing/111815875/you-pick-3-8x10-printsThanks for checking out this print by Benton Park Prints. 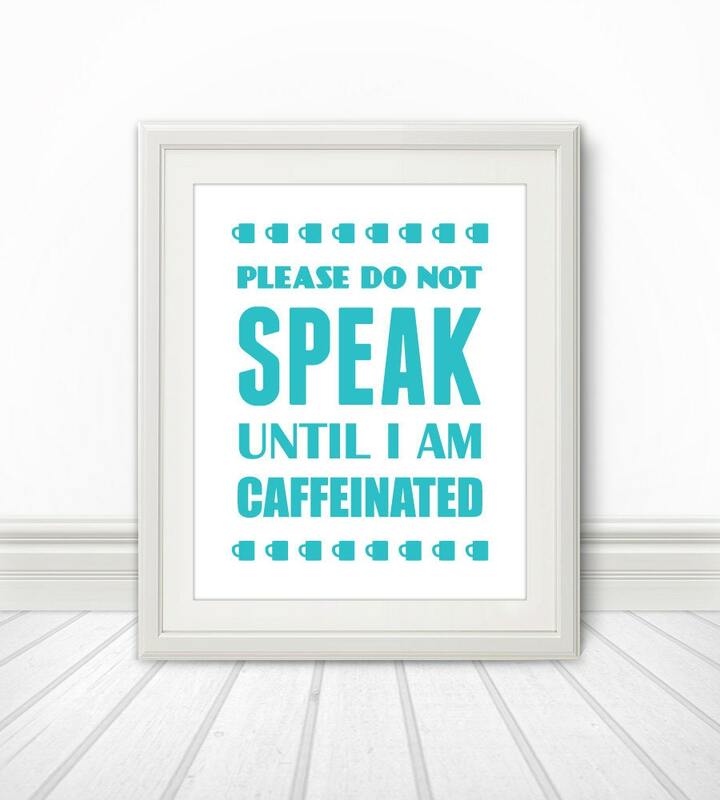 Be sure to check out our other prints and unique items at bentonparkprints.etsy.com.